Nike's water-resistant Nike+ FuelBand fitness tracking wristband gadget is no longer being exclusively sold at Nike's online and brick and mortar stores. 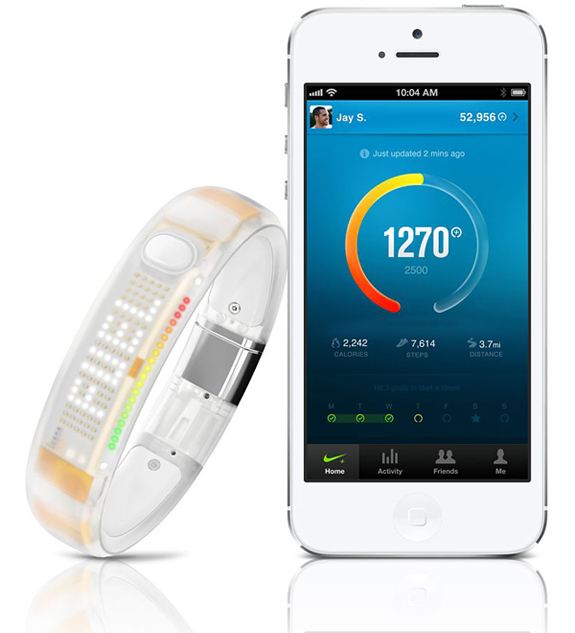 The FuelBand is now being sold at Apple online and brick and mortar stores for $150 in new color schemes that include a geeky looking transparent white, semi-transparent smoke and black colors. The FueldBand features a streamline bright LED dot-matrix display and can track your steps, calorie burn and display digital time amongst other things.